for and great credit. Don’t break your arm patting yourself on the back yet. People think more about what they’re going to do when they retire than whether they’ll have the funds to do them. 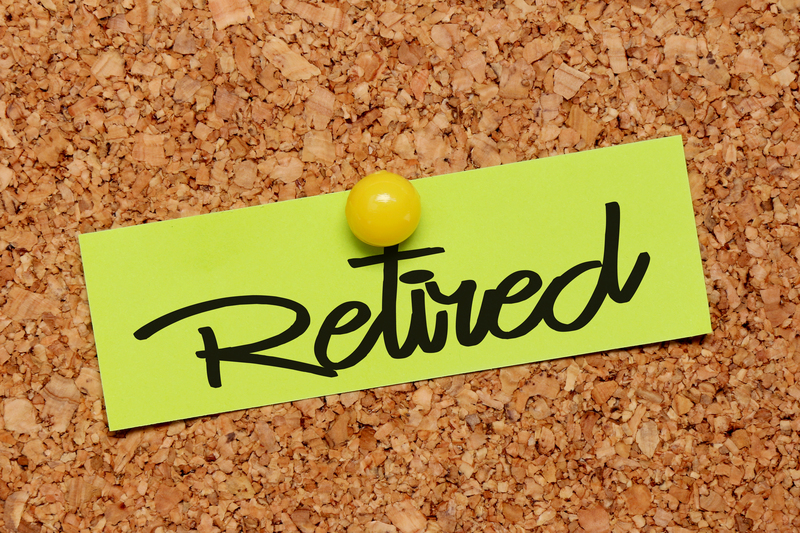 Ask anyone who has retired, it takes more money than you thought it did. Let’s look at a hypothetical situation. To retire with $125,000 income in today’s dollars with a life expectancy of 25 years after retirement, you’ll need to have a net worth of $1.5 million at retirement including what Social Security may provide. Your $500,000 will grow to $1,045,420 in 15 years which will leave you about a half million short. You’ll need to save $24,149 each year for the next 15 years to reach your goal. Is this surprising? Did you imagine that this example would be that far from its goal? It might seem staggering to save $24,000 each year but there is another way…investing in rentals. Real estate over the long term has proven to be a solid, predictable investment. Cash flows, appreciation, equity buildup and tax advantages are the components that contribute to the rate of return. Increasing rents, available financing and solid appreciation make rentals particularly attractive in today’s environment. Call me at (972) 407-1337 to find out more about how rental homes can help you reach your retirement goals. This information will help you decide how to appeal your property value to the Board of Property Tax Appeals (BoPTA). Your appeal must be postmarked or delivered by December 31. Use this Glossary of Value Terms to help understand your tax bill and prepare your appeal. Before you file an appeal, please contact our office (via live chat(link is external), phone or email) for more information about how your property value was determined. Our appraisers will help you understand your value and if it should be adjusted. Value: You can appeal the current year’s Real Market Value (RMV), Specially Assessed Value (SAV) or Assessed Value (AV) on both real and personal property accounts. Personal property includes business property, floating property and manufactured structures. Exception event: If improvements have been made to your property (for example updating or remodeling) and you believe that the amount the Assessor has increased the value of your property is too high, you may appeal the amount of the increase that is associated with the improvements (called an “exception event”). Penalty: If you disagree with a penalty assessed to you for late filing of your real or personal property return, you may petition BoPTA to waive the penalty. A reduction in Real Market Value of your property may not result in tax savings. It is your responsibility to prove that the value the Assessor has placed on your property is too high. BoPTA can only hear appeals of the current tax year values. It does not have authority to consider appeals for any other tax years. Consider testimony on tax rates or the fairness of the tax system. After your current year property tax statement is available, you have until December 31 to submit your petition to The Board of Property Tax Appeals (BoPTA). BoPTA can only consider petitions for the current tax year value. Your petition must be postmarked or delivered by December 31. We use the U.S. Postal Service postmark to determine timeliness of filing. A postage meter imprint (e.g. Pitney-Bowes) is not considered a postmark. Hearings will take place between the first Monday in February through April 15. You will be notified by mail of your hearing date and time. How do I submit my appeal and what is the fee? You must submit a separate completed petition for each account. The filing fee is $30.00 per account. If we receive your petition without the filing fee, you have 20 days from the date of notification to submit the fee or the petition will be dismissed. Appeals are accepted by mail or in person only. Email or fax submissions are not accepted. How do I appeal Business Personal Property? Business Personal Property value for the current tax year may be appealed to BoPTA. Paperwork must be postmarked no later than December 31. Late filing penalties for business personal property may also be appealed to BoPTA separately. The cost for each appeal is $30. When will my hearing be scheduled? Hearings start in mid-February and run until April 15. Hearings take place in 10 minute increments from 9 am-2 pm, Monday-Thursday at the Multnomah Building (501 SE Hawthorne Blvd, Portland, OR 97214). Notices of hearing will be mailed 5-10 days in advance of the scheduled time. You may also call or chat our Customer Service office(link is external) to find out your scheduled hearing time. Hearing times cannot be rescheduled. If, after your hearing is scheduled, you find you cannot attend, you may send a qualified representative. To designate a representative, fill out and submit the Authorization to Represent form(link is external). If you are in need of special assistance, please call or chat our office and we will be able to help you. Generally, to be successful in your appeal, you must provide evidence of the market value of your property on January 1 of the assessment year. A strong case requires careful preparation. Remember, it is your responsibility to prove that the Assessor’s value is too high. The only evidence BoPTA can consider is what you provide with your current appeal. Evidence from previous appeals will not be considered. You may send your evidence with your petition, or bring it at the time of the hearing. Documentation of an arm’s-length (openly-marketed) sale of your property that occurred close to January 1 of the assessment year. A fee appraisal dated close to January 1 of the assessment year which reflects the property’s value. A comparison of properties similar to yours in location, size and quality that have sold close to January 1 of the assessment year. If there are differences between properties, the differences must be accounted for in the comparison of values. Cost of new construction that occurred close to January 1 of the assessment year and was performed by a professional contractor. Cost to repair your property. You must provide written estimates of the cost of the repairs. For commercial property, documentation of income and expense information or a comparable sales analysis. If you wish to submit comparable sales as evidence, an example of a Comparable Sales Grid is available. Any evidence you provide to BoPTA will not be returned to you. If you wish to keep the original documents, you may submit copies to the Board. Introduce yourself and identify your property. The BoPTA Chair will announce the current value and your requested value, and will confirm the size, location and type of property under appeal. You will then make a statement supporting your requested value. Describe each piece of evidence you present. BoPTA members may ask questions during your presentation. You must make your statement, present your evidence, and allow for questions within the 10 minute period. Remember that BoPTA is concerned with property values for the current assessment year, not large increases over last year’s value or increases in tax amounts. The process is informal. You should expect to be treated with courtesy. The Chair must, however, adhere to the time schedule and you will be asked to cooperate in this regard. Who is on the Board of Property Tax Appeals (BoPTA)? BoPTA members are private citizens appointed by the Multnomah County Board of County Commissioners. They are not professional appraisers, but have training, experience and knowledge in property valuation. BoPTA members are not part of the Assessor’s Office. BoPTA members are not part of the Assessor’s Office and they play no role in setting any of the values on your property. BoPTA may be thought of as a panel which decides the value of your property based on the evidence you present. BoPTA hears all the day’s testimony before making any decisions. The decision-making process is typically between 2-4 pm. You are welcome to observe this process, however you will be unable to comment or offer any further testimony. BoPTA’s decisions are not available by telephone. Whether you are present for the decision-making process or not, a written Board order will be mailed to you or your representative within 8-10 business days after the hearing. What if I disagree with the BoPTA’s decision? Information and instructions on appealing BoPTA’s decision to the Oregon Tax Court will be included with the written decision. For more information, visit the Oregon Tax Court’s website(link is external). The Oregon Legislature established programs that allow qualifying citizens to delay paying property taxes on their residences – including manufactured homes, houseboats, multi-family, and income-producing properties. If you qualify for one of the deferral programs, the state will pay your property taxes to the county. A lien will be placed on your property. You will be charged lien recording fees, which are deferred. Interest on the deferred taxes, at 6 percent per year, is also deferred. How do I qualify for a deferral? To get more detailed information about how to qualify for a property tax deferral through the Oregon Department of Revenue, visit: Property Tax Deferral for Disabled and Senior Citizens. Disabled and senior citizens can “borrow” money from the state of Oregon to pay property taxes. 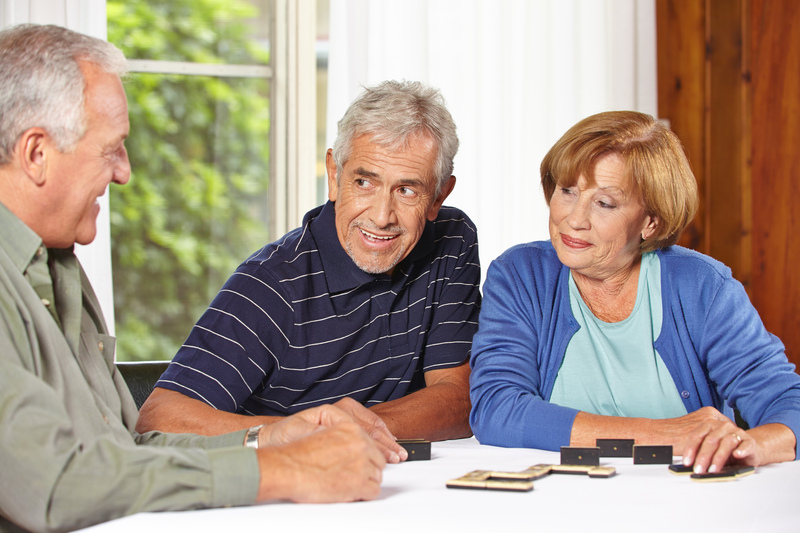 Jeff Foody answers some important questions regarding Reverse Mortgages. Reverse Mortgages is not for everyone, but for those that need its flexibilities it can be a life-changing opportunity. It is important that people that seeks a Reverse Mortgage work with Loan Officers that understand the loan product as much as Jeff Foody does and that will not be easy. After watching this video if you still have questions please feel free to contact Jeff . I am sure he will be able to answer your questions and help you learn if this loan product is good fo your situation or not.